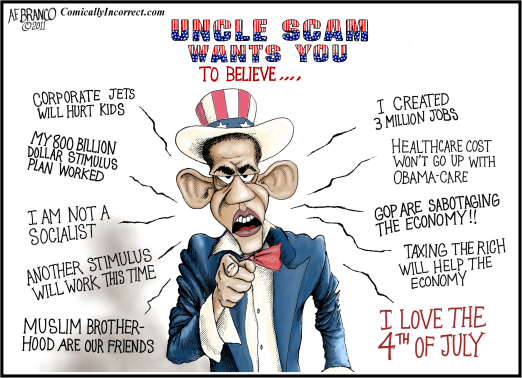 ARRA News Service: This 4th of July, "Uncle Scam" What's You to Believe . . . 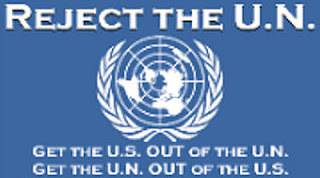 This 4th of July, "Uncle Scam" What's You to Believe . . .
Corporate Jets Will Hurt Kids. My 800 Billion Dollar Stimulus Plan Worked. Another Stimulus Will Work This Time. Mslum Brother-Hood Are our Friends. I Created 3 Million Jobs. Healthcare Cost Won't Go Up With Obama-Care. GOP are Sabotaging The Economy. Taxing The Rich Will Help The Economy. Tags: A.F. Branco, political cartoonist, Uncle Scam, Barack Obama, 4th of July, lies To share or post to your site, click on "Post Link". Please mention / link to the ARRA News Service. Thanks!